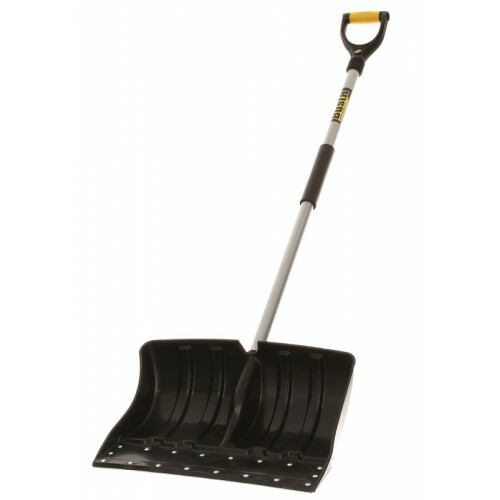 With its deep cavity blade reinforced with a strong steel wear strip, this heavy duty snow shovel is perfect for clearing driveways and paths of snow and chipping away dangerous patches of ice. Designed with ease and comfort of use in mind, the Ergo D-Grip handle of this heavy duty snow shovel is cushioned to allow the user to work comfortably and safely even whilst wearing gloves. The extremely well-made deep cavity blade enables you to lift and move large amounts of heavy or compacted snow, while the extra strong steel tip is ideal for chipping away at patches of ice.